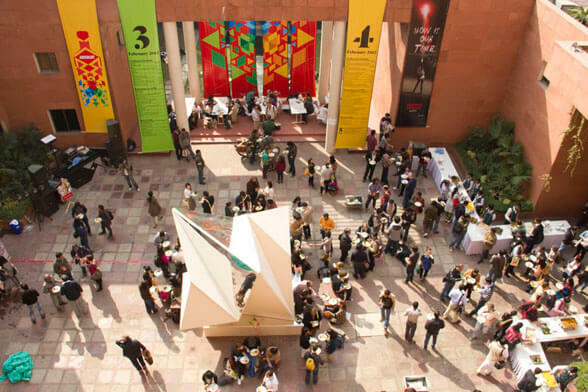 The UnBox Festival in Delhi presents itself as a celebration of “interdisciplinary processes and experiences that shape contemporary thought and action”. Organised by the Box Collective – formed by design studios Quicksand and Codesign, photo-commune Blind Boys and music collective B.L.O.T. – the month long series of events culminated in a 3 day conference held at the British Council between the 2nd and 5th of February. Buzzing with infectious energy, the Charles Correa designed building played host to a stimulating series of talks, exhibitions, workshops, performances and art commissions. One could be forgiven for thinking that UnBox was going to be a design conference, when, in fact, it was so much more. The revelation provided by UnBox was in its articulation of the non-disciplinary ways in which creative practitioners are beginning to function: gone are the grad school definitions of ‘artists’, ‘designers’ and ‘media professional’. What we have instead are thinkers, doers and enablers – people solving problems and resolving social, political and technological conflicts in ways that challenge conventional boundaries. Whether it be self-proclaimed ‘food designer’ Marie Vogelzang’s, use of eating rituals to bring strangers together around a meal, or Stalin K. Padma’s Video Volunteers organisation which provides disadvantaged people with media training to record their own stories, the ideas presented at UnBox provide an alternate understanding of contemporary practice and the potential windfalls that unexpected interventions can bring. An international line-up of talented speakers notwithstanding, the focus of the conference itself was very much on an India coming to terms with itself. 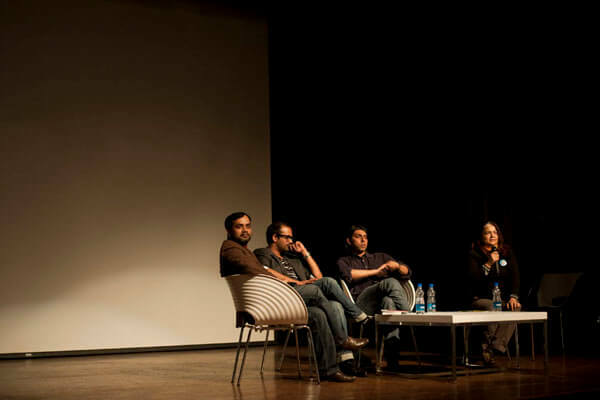 Through a series of carefully programmed panels, the speakers were called upon to explore ideas as diverse as social activism, nationhood, habitat and community, branding and craft development. In a Futurebrands moderated panel titled ‘Notion of a Nation’, novelist Indrajit Hazra and editor Satyanand Nirupam made a case for multiple interpretations of the idea of India – a heartening move away from the propensity to identify a “common language” or project a “singular voice”. Perhaps in response to V. Sunil’s earlier presentation of Weiden + Kennedy’s Incredible India campaign, Satyanand pointed to the need for Indians to take pride in their roots saying that, “branding ke pehle, self-confidence hona zaroori hai,” (before branding the nation, self-confidence is necessary). Torn between its own diverse histories, geographies and societies, India often seems confused about the best way forward. It can be tempting to simplify cultural narratives, but it can also be a daunting task to engage with “the India living in layers of time” as Amardeep Behl put it. His studio’s recently completed first phase of the Khalsa Heritage Centre in Anandpur Sahib demonstrates a confluence of past, present and future, traditional and contemporary idioms. As a celebration of 500 years of the faith, the experience design for this 21st century architectural marvel marries native Punjabi craft techniques with cutting-edge digital technology, to create a historical journey. The result is a magical synergy of storytelling forms. 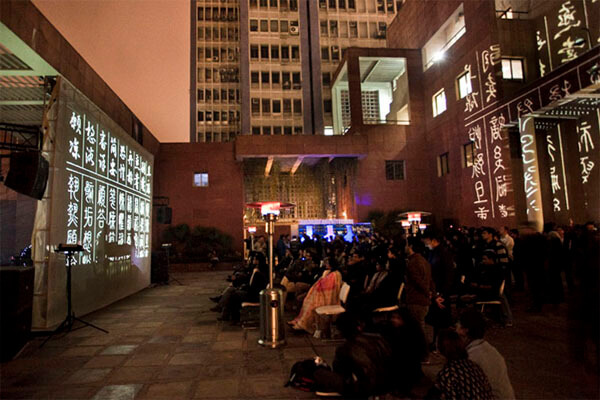 The project however, has been completed after nearly a decade of their involvement, and exemplifies the struggles of achieving mould-breaking creative visions on a large political scale. Delegates check out the work of the UnBox Fellowships in a specially commissioned exhibition. Photograph courtesy Lucida. If the UnBox organisers wanted to raise questions and provoke responses, then they also provided the opportunity to walk the talk: for the first time a series of eight fellowship projects were conducted in the weeks leading up to the conference in New Delhi. Ranging from the documentation of sustainable lifestyle innovations in Auroville, to creating web-based participatory lawmaking platforms, these projects were undertaken by teams of students and professionals from a variety of backgrounds, and lead by organizations with domain expertise. For example, The Great WASH Yatra, on which I was a fellow, saw our fellowship team lead by design research studio Quicksand and German NGO WASH United. We were entrusted with the task of communicating the message of clean drinking water, sanitation and hygiene through a puppetry performance aimed at children. Working with traditional puppeteers from Kathputli Colony (translated as Puppeteer Colony) in Shadipur, Delhi, our team of producers, writers, artists and designers created a 30-minute puppet show with accompanying performances by the artistes’ children. Scheduled to go on tour later in the year, this, like other fellowship projects, will be taken forward and scaled up by partnering organizations. 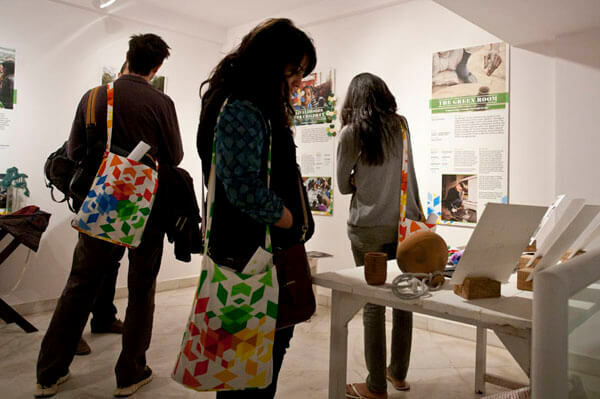 Not to be satisfied with the product alone, as part of the conference, the processes and outcomes of each fellowship were displayed in an exhibition in the Queen’s Gallery at the British Council. Put together, we were able to learn from one another’s methods, reflect on our collaborations, and consider the challenges in implementing inter-disciplinary learning from one context to another. As a fellow, the UnBox experience was an enriching and engaging journey, but even as a conference attendee the virtual feast of workshops, performances and partner events offered up a smorgasbord of ideas. No matter what one’s framework of practice, there can be no doubt that the more creative professionals reach beyond the confines of discipline and look to invent new modes of collaborative working, the sooner ‘art’, ‘design’ and ‘media’ will become forces of real change. For this to happen, perhaps practitioners themselves need to re-consider their own definitions and maybe then, what India will have next is not just people who “think out of the box”, but people who are ready to forgo the boxes altogether. If this year’s edition is anything to go by, I’d keep an eye out for some of these folks at the UnBox Festival, same time, next year. Ruchita was selected to participate in The Great WASH Yatra Fellowship as part of the UnBox Festival this year. To find out more about the fellowships, follow this link.